With less than a week until their Christmas deadline, House Republicans passed the converged Tax Cuts and Jobs Act bill—set to be the first tax overhaul in over 30 years—in a 227-203 vote on Dec. 19. However, the Senate Parliamentarian required a re-vote, citing three provisions in violation of the Senate Byrd rule. The Senate voted late Tuesday night, winning along party lines in a 51-48 vote, and the House voted again on Dec. 20 after the provisions in question were amended by the Senate. After it was enrolled, the bill made its way to President Trump’s desk to be signed into law. The real estate community, especially the National Association of REALTORS® (NAR), has advocated for a tax reform bill that protects homeowners. 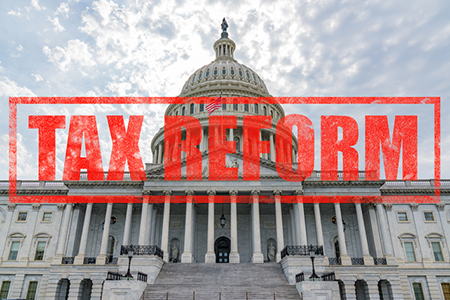 While some of the final provisions in the Tax Cuts and Jobs Act are an overall improvement to tax policy changes that were initially proposed in the Senate and House bills, NAR does not believe they are enough to truly benefit the homeowner community. “The results are mixed,” Mendenhall said. “We saved the exclusion for capital gains on the sale of a home and preserved the like-kind exchange for real property. Many agents and brokers who earn income as independent contractors or from pass-through businesses will also see a significant deduction on that business income. “Despite these successes, we still have some hard work ahead of us,” said Mendenhall. “Significant legislative initiatives often require fixes to address unintended consequences, and this bill is no exception. American taxpayers could see an impact on their paychecks as early as the next couple of weeks. 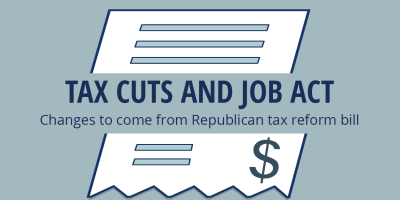 The new bill lowers the tax brackets, which will mean less money taken out of some paychecks. Most changes, however, will become apparent when U.S. residents go to file taxes in 2019 for the 2018 tax year. The numbers will change over time, as well. The Tax Policy Center estimates that although individual taxes would be reduced, on average, in 2018, more than half of households will experience a tax increase by 2027. The National Association of Home Builders (NAHB) and the Mortgage Bankers Association (MBA) issued statements supporting the legislation. David H. Stevens, CMB, president and CEO of the MBA, stated, “I want to thank House and Senate leadership and the members of the conference committee for including key real estate and housing provisions in the final tax bill. Specifically, we are grateful for the amendment to Section 13221 of the original Senate-passed bill offered by Senator Mike Rounds [R-S.D. ], to create an exception for any item of gross income in connection to a mortgage servicing contract. “Additionally, we are glad to see the bill preserves current law by allowing homeowners to exclude up to $500,000 of the gain on the sale of a home. MBA also appreciates the inclusion of the Low-Income Housing Tax Credit (LIHTC) and the tax-exempt status for private activity bonds (PABs). We also are very pleased that the bill preserves business interest deductibility for real estate, as well as Section 1031 like-kind exchanges for real property. Finally, we are glad the bill preserved the option of deductibility of up to $10,000 in property taxes.